Let us connect with that little child within us who is always hungering after love and acceptance. In this workshop, Claude will help us release all the conditionings and limiting beliefs our Inner Child has accumulated that diminish our happiness and manifest into obstacles on our life path. This release process strengthens our energetic base, improves emotional balance, and opens our hearts to receiving deeper love. When past hurts are erased and when we embrace all aspects of ourselves in totality, a true healing of mind, body and soul takes place. Such profound healing enables us to make more powered choices and think positive thoughts, giving us the power to create the life we deserve and desire! 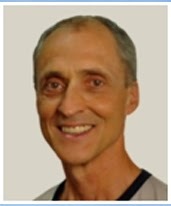 Claude Simard is an accomplished Inner Child Meditation Teacher and Bodywork Therapist of international acclaim. For over 20 years, he has been using his knowledge of psycho-energetics and Dream Work to help people heal their Inner Child. His highly developed sensitivity and intuition enables him to connect with people at a deep soul level, teaching them how to integrate this powerful child-like part of themselves into their lives.